It’s been about 9 years since I’ve watched a Taiwanese Drama and well I have to say that I did miss it. I came across this particular one through my local TV. They have been airing previews of this drama so I checked it out myself a few weeks after that. I wasn’t planning on watching since I do have some kdramas that are waiting for me but when I saw the first episode of this and saw that the lead looked like Lay from EXO, I was hooked. Cast : Aaron Yan as Lu Tian Xing/Xiao Lu; Tia Lee as Tao Le Si; Jack Li as Leo; Kao Ying Hsuan as Lance; Beatrice Fang as Huan Huan and Katherine Wang as Miao Miao (Full Cast HERE) I seriously have no idea who they were, to be honest. Aaron Yan’s name was a little familiar since I saw it pop up on my google page one time but the rest were not familiar. Half way through the drama (where Aaron’s character sang Happy Birthday) I had to google him since I knew he wasn’t just an actor. I found out that he was in Farenheit (*hope I spelt that right) and that’s where the butterflies invaded my stomach. I also found out that he sang most of the songs in the OST in this drama so that was a home run for me as well. Story : The story is about Lu Tian Xing looking for his passion for creativity once again. So, he ditches the company where he’s the CEO and accidentally found himself working another company under the name Xiao Lu. I wont go into detail how he ends up working there but basically he falls in love with her and she falls in love with Xiao Lu but hate Lu Tian Xing. On how she’ll discover and end up loving both Xiao Lu side and the Lu Tian Xing side I will leave for you to find out for yourself. A lot of elements will also come into play here and I do have to warn all of you that there will be a LOT of lying and crazy stuff toward the end on this drama. The story for me was real nice, the flow was okay as well. I love how they do have all the comedic, dramatic and love story in it; what took me off is the transition of emotion. The first parts were all love dovey and sweet, then it becomes all dramatic and crying and then rage fills you up; towards the end they kind of mixed it up in some episodes but still, I have had like 4 episodes where all I did was shout at my screen. To be perfectly honest, I never wanted to kill a drama mom so bad after I saw Meteor Garden but this mom is waaay beyond that level. I understand her intentions but still, she was mean. 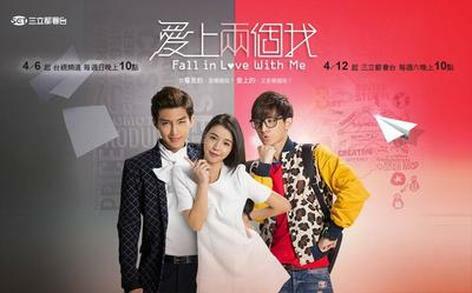 Lu Tian Xing / Xiao Lu & Tao Le Si (Aaron Yan & Tia Lee) – How do I even begin… I knew, at the first episode that these two would look good together. Okay [SPOILER ALERT] so from where these two started, I kinda didn’t realize that they’ll end up together. Tao Zi hates Lu Tian Xing to the ends of the earth but he’s such a talented man. Xiao Lu however is being loved by Tao Zi because he’s sweet and caring and he isn’t obnoxious like Lu Tian Xing. So now, problem is… Tao Zi hates Lu Tian Xing but loves Xiao Lu so he’s practically his own rival which complicates everything but it turned out okay in the end. Leo & Tao Le Se (Jack Li & Tia Lee) – So, I did like this pairing because of Leo. He’s that typical “oppa” where you have this thing with your best friend’s sister yet you don’t really want to take the chance because she thinks of you as his own brother. He didn’t take that negatively, instead he took it as an advantage to be close to her and to protect Tao Zi. Xu Miao Miao & Wang Ting Wei (Katharine Wang & Huang Huai Chen) – The allergy couple. I don’t know why I call em that but it amuses me how they ended up together, having Ting Wei allergic to Miao Miao’s baby dog. I really just found them real cute because they bicker like an old married couple and they ended up together in the end. OST : As for the OST of this drama, I did like the Opening Song, the one he sang with G.Na. (1/2 二分之) That was addicting and there was this other song that I forgot. I did search for the title but I can’t remember what it was, I think it was this one (The Only Rose 唯一的玫瑰) and this one (The Unwanted Love 多餘的我) both by Aaron Yan. The songs were mostly in ballad so I liked em but one struggle for me is that I get confused.